This week marks the 42nd annual dental assistant's recognition week, to recognize the continuing efforts of dental assistants in practices across the country. Here are just 6 ways they are crucial to the success of your dental practice every day. It's the 42nd annual dental assistant's recognition week, make sure you're recognizing all of your dental assistant's contributions to your practice. This week marked the 42nd annual dental assistant’s recognition week, a week to celebrate all hard-working dental assistants who continuously grow and stretch themselves as leaders in the healthcare profession. This week is celebrated by dental organizations across the country and DSO organizations like Pacific Dental Services. In honor of Dental Assistants Recognition Week, we here at Dentist’s Money Digest® are listing some of the top reasons why dental assistants are crucial to the success of every dental practice both big and small. Every patient is different, so no two appointments are the same. During exams, a dental assistant must anticipate the dentist’s every move in order to provide specialized care to each patient. From readying equipment to serving as a second set of hands, the chairside support provided by dental assistants is key to providing the best dentistry possible. Since most procedures require quality x-rays as a guide, clinicians rely heavily on dental assistants to streamline the x-ray process and produce compliant images. DAs are tasked with operating x-ray equipment while simultaneously interacting with patients. Though this can be a challenge, especially with nervous patients, experienced DAs know exactly how to expedite time spent in the x-ray room. Dental assistants are commonly the first line of defense when it comes to educating patients about oral health care. They proactively explain diagnoses and treatment choices, taking the time to answer any questions a patient may have. When patients are armed with the proper information, they are more likely to begin treatment. Maintaining medical records is a fundamental element of patient care. Dental assistants are responsible for effective and accurate charting, especially during full mouth examinations when dentists call out findings for documentation in patient records. DAs also must ready medical records for dentists to review before each appointment and update charts at the end of every visit. Visiting the dentist can be a very stressful experience for some patients. DAs are frequently called upon to serve as both skilled clinicians, as well as a source of comfort for distressed patients during difficult exams. By providing compassionate care, dental assistants ensure a smooth and successful visit. 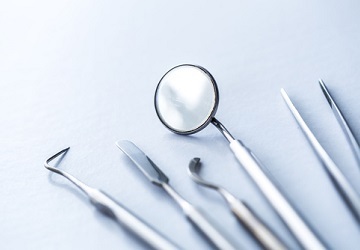 Dental assistants perform thorough and efficient sterilization of rooms and equipment, cleaning and resetting operatories just in time for the next patient. A regimented sterilization schedule is absolutely essential, particularly in a busy office with back to back appointments. DA’s help coordinate these efforts and keep the practice running smooth and running clean. These are only some of the reasons why dental assistants are absolutely essential to your, and every other, dental practice. It’s important not only to recognize the value of their role within your organization, but also the value they provide you and the rest of your staff. Without quality dental assistants thousands of patients wouldn’t get the proper high-end dental care they’ve come to expect, and your practice wouldn’t be running at a high end either. So, don’t take just this week to recognize their hard work, make a point to thank them whenever you can.